[FM14] Look at him, son. He is the man who made all of Northern Ireland cry. @Nobby_McDonald: That's the exact word for it, yes, Dominant. Hope next one is at least good. It's going to be very difficult to emulate this one. @elbilly: the change between one year and the other was abysmal. So no debt anymore, but now we have to pay the bank monthly around 500 pounds. I'm keeping my wages 864 pounds under budget (2k) to cover for that, plus some professional contracts for the kids who turn 17. 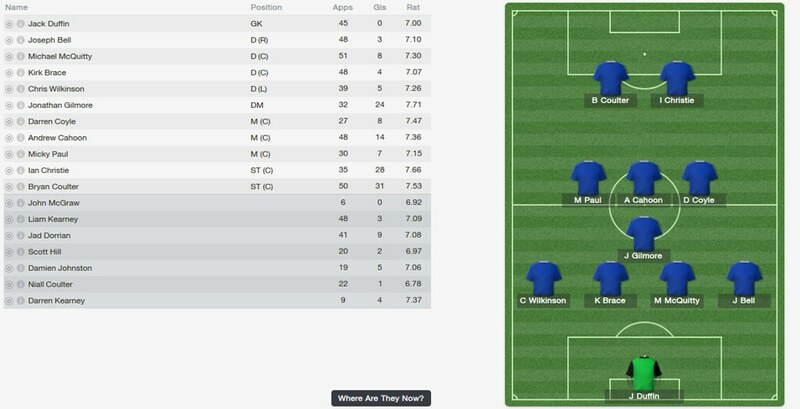 Some of my backbone there, gone, but they where older (27, 32, 33) or did not want to renew contract, such as Coyle (22). Vinnie Heneghan, 23, N.Ireland, M©, D©, DM. Reinforcing the spine of our team. Joel Bradley, 20, N.Ireland, AM®,AM(L),ST. Bought for 20 pounds from Coleraine. Glad I did, as new board cut relations with them!! Probably best player in my team. Che Bradley, 21, N.Ireland, ST, AM(RL). My second star striker. And with same surname as my main one! As can be seen both ST I bought are also AM, because I had no one decent, to cover that spot. Not that I use them on my main tactic, but it is nice to be able if I want to be able to play a 4-5V-1, or whatever. Ciaran Magee, 21, N.Ireland, D©, I got an interesting loan offer for him so he is on loan on a C2 team. All my players out are free... no one is offering any money in N.Ireland for nobody. Big teams get their players for free, spend money on wages. When I get an offer for a 1.000 pound value player, it is 0. I've tried asking for 10 pounds and they don't want him. The two premier teams, Glentoran and Coleraine, we played quite well against them, with similar stats to them. Against Glentoran we where winning 3-1 with my main team, but with all the substitutes we went down 3-4. 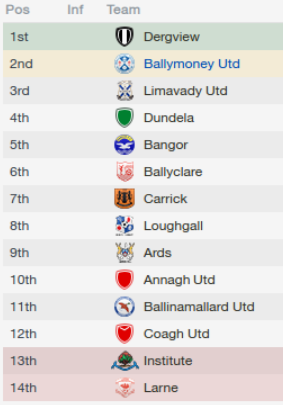 Coleraine was quite better for us, even with all substitutes we kept our goal at 0. The friendlies have gone quite well, even if we haven't scored much in the last ones. But, the team is slowly becoming better. 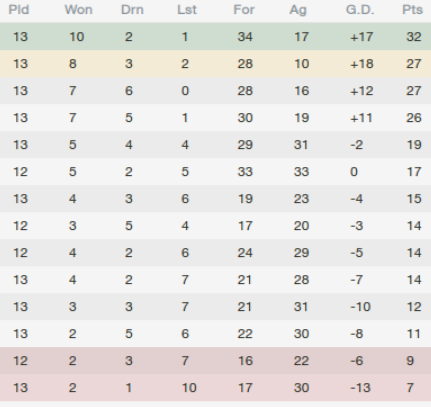 The players didn't accept my play for mid table speech, they thought relegation battle was more appropriate. But I think that mid table, at least, is what we'll be getting. 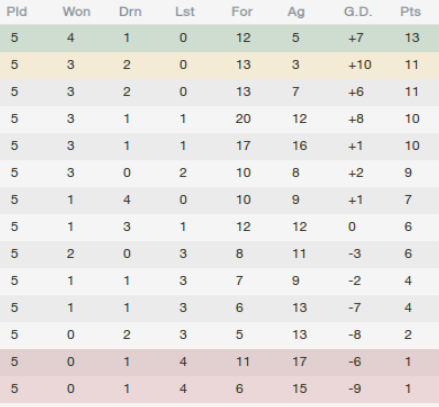 Ideal would be to battle for promotion, but that is difficult. 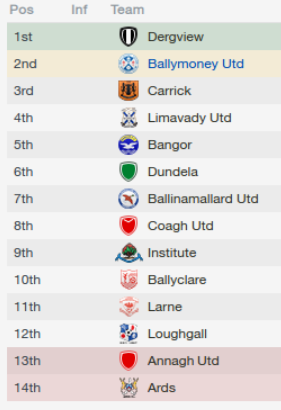 I don't know if the free transfers I'm seeing is normal in N.Ireland. There have been 124 transfers to team (so no letting people go free counted), all of them free. Also, I got 3 titles last year, BT2 champ, 2 cups, and 0 points for hall of fame. I am afraid so, mattinho. I typed in google to search for North Ireland, and that image came out. As last year, doing well, but not as dominant. Beat Crusaders yet again, lost against Linfield in a game that on paper was even, same number of opportunities both sides, but Linfield has more quality. Games such as Ballinamallard Utd we ought to have won by a lot, but the ex premier division team's defence and goalie did very well, and they scored in a penalty. Real life interfering with a very nice career so far. There is a league match somewhere amongst those cup games. @Nobby_McDonald: Aye, it is crazy, you play one league game and then are deep in cup games. If you keep winning, the craziness goes on. Except for a small hiccup where we lost two consecutive games away (first game, against institute, we had 2 goals cancelled) during the league, results where good. We did lose another cup match against a strong premier division team, Ballymena Utd, and that was during extra time, so looking good. Dergview are first, they have only lost against us, and they look firm candidates to go up easily. Currently we are second, 5 points away from the leaders. Carrick is a very good team, one of the few that has outplayed us. They lost no games so far! They have same points as us. The fight for 2nd will be very tough. 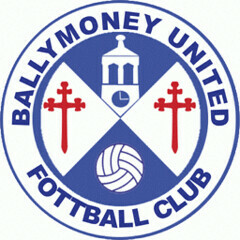 4th qualified, Limavady Utd is doing very well lately. Good news is that in 2 games we are playing Steel and Sons cup final, against non league team Brantwood. It will be special for the fans, as they beat us once in the final of Steel&Sons, back in 1984. So if we win, it will be for our oldest fans. If we keep the good form, we ought to finish 2nd to 4th, a great result. But 2nd would be better, as then we play playoff.